Make your Tribe, set your Rules, and start finding and sharing great curated content in no time! Welcome to Tailwind Tribes! Learn more about how to create a Tribe of your very own. 2. 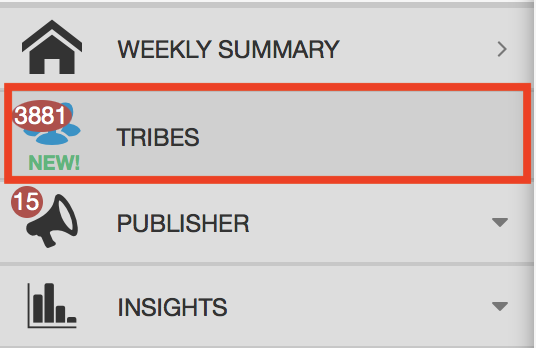 Once you find the Tribes page within your Tailwind dashboard, click "Create New Tribe". Helpful Tip: If you don't currently have access to Tribes, please reach out to us to schedule a quick call (15 minutes). During this call, we will walk through what your overall goals are with a tool like Tribes and which features would be most helpful for you. 3. 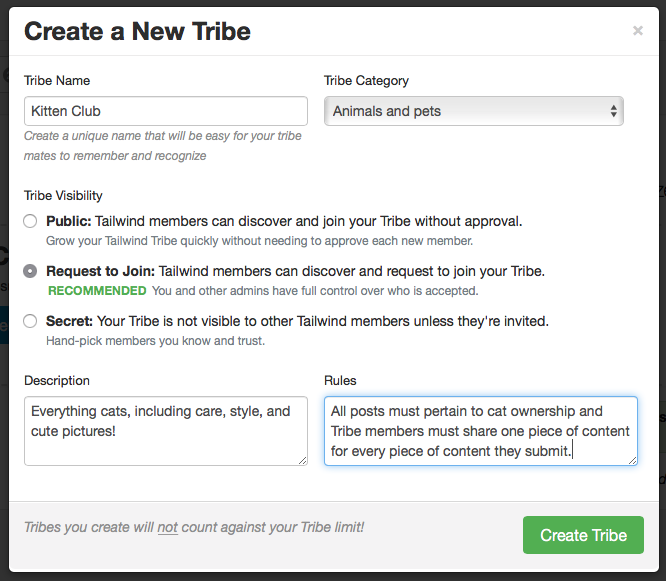 After clicking "Create New Tribe", you will see a pop-up to enter your Tribe name, description, rules, and category. 4. Different Tribes may serve different purposes, so create your new Tribe accordingly. Here are some different types of Tribes that perform successfully. Now that you have created your Tribe, you can further build your Tribe by inviting people to join you! Here is an article that will explain how to add people to your Tribe: "How to Add Members to a Tribe"